October 14 was Spider-Man’s birthday, so I’m celebrating with the second post devoted to Spidey‘s supervillains on TINSTAAFL TUESDAY. In the post last Tuesday, I explained that combining bad parenting with bad experiments creates really bad villains. I covered eight of the villains who were created in the 1960s. I have six more dastardly dudes to tell you about. All were created after 1970. 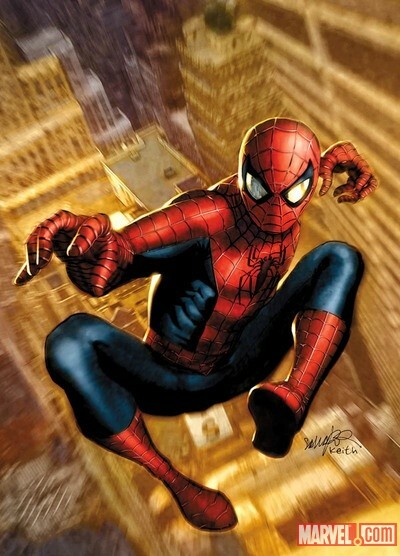 One in particular was created in 1971 after the Comic Book Authority changed some of the standard guidelines to include more types of crimes and creatures. (The CBA had that little seal on almost every comic book since 1954 until recently–but that’s another story). Villains sometimes got their own series. These are two from my collection. Spider-Man’s villains run the spectrum from plain ol’ bad guys and powerless minions to the evil criminals whose power is political or technical to the supervillains who got transformed by their quest for easy power. Nothing is easy when it comes to power. There is no such thing as a free lunch, and these six miscreants prove that point. It’s worth noting that some of them had perfectly fine upbringings. Also, Marvel started giving the bad guys more redeeming qualities (even if they didn’t reveal them often) and character development. Yes, that’s right. Vampire. Before January 1971, the CBA didn’t allow them. February 1971: Enter Dr. Michael Morbius, who had a rare blood disease. In his efforts to find a cure, he and his assistant combined his bat serum and electric shock to see what would happen. It gave him blood lust, and his assistant lost a lot of blood. I don’t know how they didn’t see that coming. He was the first of many vampires in comics. He was a sympathetic character–he really was a good guy, but his self-induced vampirism made him go for blood. At one point, he even promised to drink only bad people. The tortured, souled pseudo-good guy vampire isn’t as recent as people think. Morbius, honey, I know you have a good heart beating somewhere in that chest of yours. Do yourself a favor and quit turning to the really evil villains to help you. Maybe a job at a blood bank would serve you better. Hammerhead started out as a minion. He was beaten to a pulp and left in an alley to die. A surgeon (disgraced for good reasons, I imagine) decided to experiment on the gunman’s broken body. He replaced all his broken bones with steel, which gave his head the hammerhead shape. He remembered nothing from his past, except that he was a criminal and he liked it. He even got some other evil-doers to upgrade his steel bits to something even stronger. Hammerhead, your one redeeming moment was when you tried to save your dying sister–when you finally remembered that you had one. However, you almost squandered your chance by drinking the special god-like serum yourself. A bit selfish, don’t you think? Leave it to Spider-Man to create a new batch to save your sister for you. He didn’t do it for you. Just sayin’. Miles Warren had a normal family life. He was a brilliant scientist. Unfortunately, he didn’t have an ethical bone in his body. He created “people” from animals, until a Jackal-man killed his family. He fell in love with Peter Parker’s ill-fated girlfriend, Gwen Stacy, when she was his college student. After she died and his assistant caught him cloning her, Warren killed his assistant. 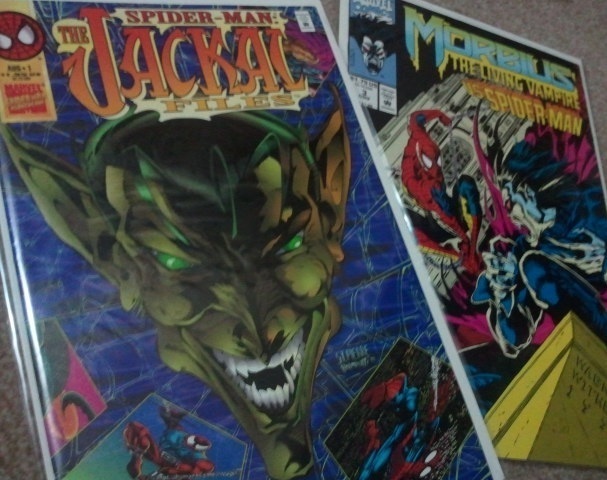 He made himself The Jackal and then continued to torment Peter Parker/Spider-Man. He created more clones (Gwen, Peter, himself) that had various levels of humanity and lifespans. Dr. Warren, you should have taken the medical ethics course more than once in med school. It’s sad that the only girl you could get to love you was a clone of the original Gwen Stacy. I read the second clone saga when you tricked Peter into thinking he was the clone. He was a newlywed no less. I hadn’t been married long myself, so I really felt for Mary Jane. I wasn’t upset when you fell off that roof to save your Gwen Stacy clone. I will be ticked off if that was really your clone. No more clones, please. Dr. Jonathan Ohnn worked for the Kingpin to find a way to recreate Cloak‘s powers. Ohnn succeeded. When the power failed because of his experiment, he stepped into the destabilized portal. As a result, he gained the power to transport himself anywhere. Your first mistake was to work for the Kingpin. You weren’t a very good supervillain. It would be handy to travel through portals, but I think it’s a bit odd that you wear them. You really should clean up your act. Lonnie Lincoln was born an albino and was picked on in school. He grew up to be an intimidating guy and was a mean crook. A former high school classmate, Robbie Robertson, witnessed Lonnie commit murder, so he tried to kill him. Robbie got away with a little help from Spider-Man during a fight at the Osborn Chemical Plant. In the fight, Lonnie got doused with an experiment chemical, which made him superhuman. Great. He wasn’t already scary enough. Hey, Tombstone, you aren’t a superhuman or a supervillain, you’re a super bully. Filing your teeth into points is not very good oral hygiene either. All these villains paid a price when they transformed. Humanity, in some cases, had already been lost, and the transformations took care of the rest. I hope Spidey had a great birthday that was free of villains and battles! Did you also notice that women supervillains still haven’t shown up in Spider-Man’s world just yet? The women start showing up soon after these guys in the late 1990s and early 2000s. I might cover them another time. What do you think about these guys or other supervillains? Do you prefer the villains over the superheroes?